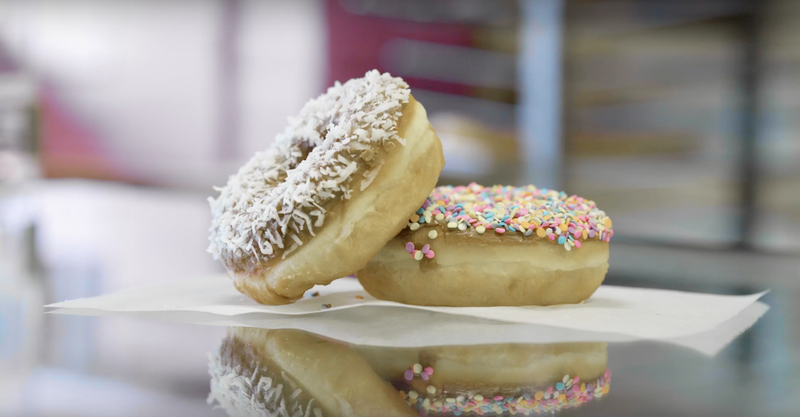 Thrillist has ranked America&apos;s top donut shops and 1 Oakland shop landed in their list of the Nation&apos;s 31 best. Thrillist says: "There are three sizes of donuts here, and the champion move is to get the donut holes, which at most places are a an afterthought, but here are actually crafted to resemble tiny donut cupcakes dusted with vanilla, covered in maple and pecans, or straight-up frosted. Actually, to really be a savant, get a half dozen of those and pair them with a full-sized Boston cream or their take on the Cronut." Oakland donut shops left off this list are the local favorite, Colonial Donuts in the Lakeshore District and Vegan Donuts and Gelato in Lake Merritt, with their unique take on this iconic dessert. See Thrillist&apos;s full list at: thrillist.com.